William McCubbins, 36, is facing several charges after police say he ran from the scene of a rollover crash on April 16, 2019. 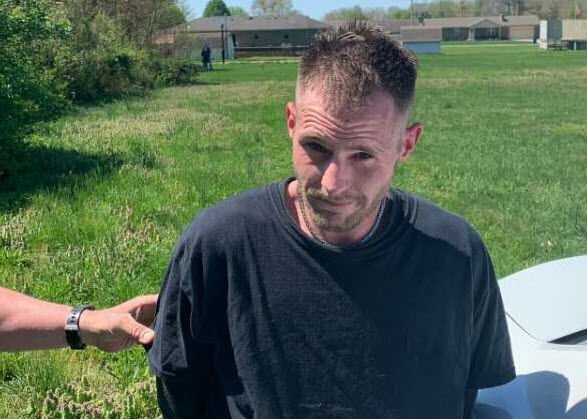 LOUISVILLE, Ky. (WDRB) -- A man who flipped his SUV in a rollover crash in Bullitt County Tuesday afternoon took off running and led police on a short chase before he was found hiding in a trash can. 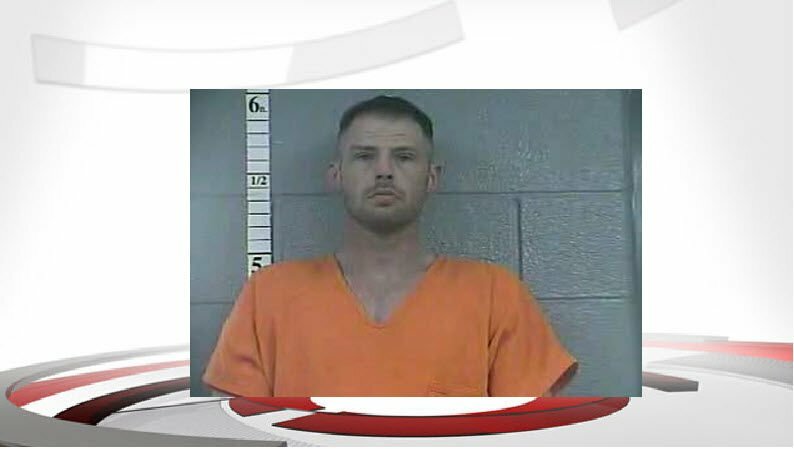 Police say 36-year-old William McCubbins ran from the scene after he crashed a Chevy Tracker at the intersection of KY 44 and Riverview Lane near Lees Lane in Bullitt County around noon on April 16. According to the arrest report, McCubbins told witnesses that offered to help when they saw him standing near the vehicle after the crash: "I'm sorry but I have to go, I have warrants." Witnesses followed him and were able to give police a description of McCubbins. Officers then spotted him running behind apartments just west of Lees Lane but lost sight of him. According to a post on the Shepherdsville Police Department's Facebook page, a resident spotted McCubbins in a trash can and alerted police. As officers approached, McCubbins took off again, but was arrested when officers caught up with him in a field around 12:30 p.m. after a short chase. While searching McCubbins, officers found a "clear plastic bag containing a crystallized substance that field tested positive for meth." Police say McCubbins also had a clear plastic bag containing two blue pills believed to be Clonazepam, a Schedule IV controlled substance, and one syringe. Officers from the Bullitt County Sheriff's Office and the Hillview Police Department assisted with the arrest. McCubbins is charged with fleeing, driving with a DUI suspended license, possession of a controlled substance, and possession of drug paraphernalia.